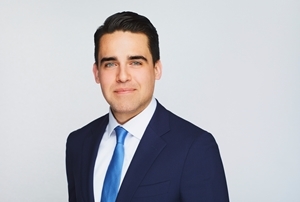 Alex joined StrategyCorp’s Toronto office as an Associate in 2018, with a background in public relations and communications. Since joining StrategyCorp, he has supported a wide range of clients for both the communications and public affairs practices. Prior to joining StrategyCorp, Alex worked as an account executive at a boutique PR firm, where he worked with a number of clients across a variety of sectors, including healthcare, cannabis, technology, not-for-profit and tourism. His work focused on designing and executing thought leadership and profile enhancement campaigns for senior executives and organizations, where he took on a key role in narrative development, media relations and crisis communications. On his cannabis file, Alex spent time working with a number of First Nations groups in Manitoba, designing and executing media relations campaigns tied to the opening of the first recreational cannabis stores on First Nations’ land in the country. Alex also spent time at Medtronic Canada, a global medical technology company, where he worked in health policy and stakeholder engagement. Alex holds an Honours B.A. from Wilfrid Laurier University, and completed an accreditation in Government Relations at Seneca College.